A cornerstone of JURUNATURE 's business is Passive Fire Protection Services (PFP). 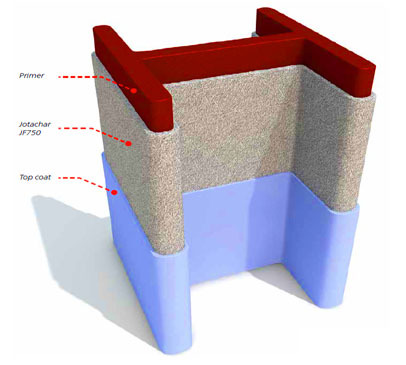 JURUNATURE have developed to become the leading contractor in Malaysia for the supply and application of Epoxy Passive Fire Protection systems. JURUNATURE have developed a strong relationship with Jotun, who are one of the world’s leading manufacturers of paints, coating and powder coatings, and who have introduced the next generation of epoxy passive fire protection, which others considerable benefit to the industry. Jotun introduces Jotachar JF750, the industry’s first mesh free next generation solution for hydrocarbon and jet fires. Jotachar JF750 incorporates an advanced fibre matrix, eliminating the need for complex mesh reinforcement. 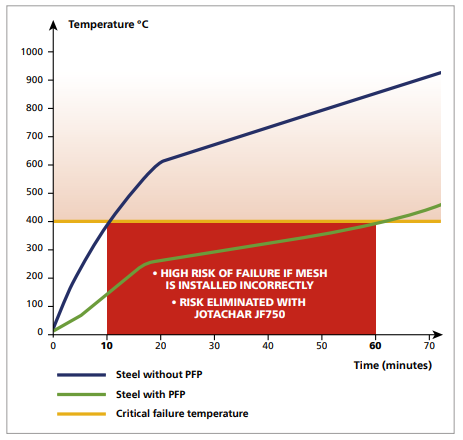 When exposed to a fire, Jotachar JF750 produces a robust and temperature stable insulating char whilst risks associated with incorrect mesh installation are eliminated.